Got something short, sharp and snappy to tell? The Hummingbird Flash Fiction contest is waiting to be wow’d with your most economical and brilliant storytelling. 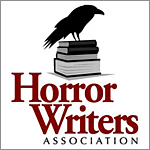 This contest is for short fiction under 1000 words. As a bonus, you can get feedback on your story with a professional critique from one of the Pulp Literature editors for only $15 more. Read full details on this contest here.